A vacant house can tell you a lot about the history of a neighborhood. Fourteen years ago, I explored an abandoned house in an aging subdivision where the original owners were slowly dying off. The house eventually became a drug den littered with crack vials, fast-food wrappers and cigarette butts. A painting of “The Last Supper” hung on the living room wall was the last sign that the house had once been somebody’s home — that and the cracked vinyl record of “Raindrops Keep Falling on My Head” laying in the yard. 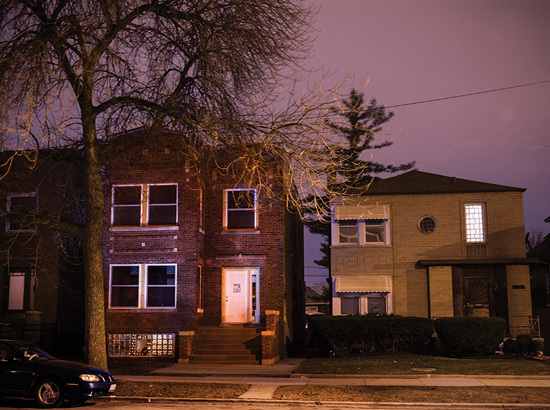 The cover story in this issue of The Chicago Reporter is about a house: 6210 S. Fairfield Ave. in Chicago Lawn. Reporter Angela Caputo and photojournalism fellow Michelle Kanaar spent weeks in this Southwest Side neighborhood, which by 2007 “had become ground zero in the foreclosure crisis.” The two-flat went from an owner-occupied residence in the 1920s to an investor-owned property by the 2000s to a hollowed-out abandoned wreck by 2010, mirroring the decline of the neighborhood and the unraveling of the housing finance system. The block on which 6210 S. Fairfield sits is a microcosm of the problems plaguing many blocks in the South and West sides of Chicago, where the housing market remains in stasis. The banks, investors and city government all have a hand in the problem. But it was the residents in the community who brought life back into the house and the street. Unlike the sad house I explored 14 years ago, the story of 6210 S. Fairfield Ave. doesn’t end with decay; instead, it ends with renewal. “What a community has to do is zero in on a block or two blocks,” a housing expert told Angela. That’s not a systemic solution, but it can result in an undeniable improvement. 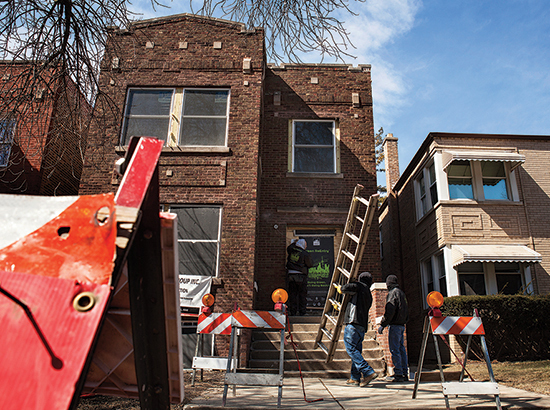 In Chicago Lawn, a vacant house is on its way to becoming a home again. The housing recovery has yet to reach the 6200 block of South Fairfield Avenue in Chicago Lawn, but residents aren’t waiting for the market to bring back the street. They’re doing it themselves.